This article is written by one of our editors, a person who really knows everything about resume writing and creates resumes, CVs, cover letters on an ongoing basis. Maybe this information will help each of you finally understand what you do wrong! The best and the most worthful resumes can’t be written in several hours. This is a very important piece of work, which requires time and efforts. Furthermore, it is humanly impossible to compose a worthy resume in one night only. Each resume must go through several checks before it will be delivered to our customer. For that reason, we work thoroughly on each order. What is “a properly composed resume”? We will assuage your doubts – it is impossible to compose a perfect resume. First, you don’t know what standards employers have. Some of them appreciate your skills, the other part of them considers the education to be more important. For that reason, it is really difficult to compose an ideal resume. Yet still, it is possible to determine the most common mistakes people face working at this document. You create too long resumes. The average size is 1-2 pages. Always try to keep it short. No one will read it till the end! You add the information which has nothing to do with the chosen position. You don’t check a resume before sending. Usually, you need to double check it before you finally decide to send it to an employer. So, if your primary target is to succeed and get the job you want, you need to avoid the above-mentioned errors. It is worth noting that the major part of them is made because you aren’t attentive! Besides, some individuals with long employment gaps or with too little experience of work try to pack their resumes with extra information. Commonly, these facts have nothing to do with the chosen job position. Information about your hobby, additional activities is obligatory only in case it is relevant to the position you wish to apply! One more time we want to notify you! 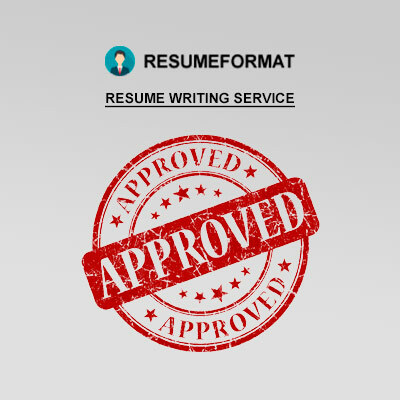 Placing your order on our website, specify each detail, notify our writers about the type of a resume you want to get. Don’t neglect this information because it really matters! Our writers have no time for guesswork. Nevertheless, they are always here to assist you!